Join us at Cedar Lane Senior Living Community in Leonardtown to learn about partnership with Volunteer Maryland as well as funding and other resources available through the Rural Maryland Council. This is a great opportunity to connect with other organizations that engage volunteers and serve rural communities. The event is FREE and open to everyone. 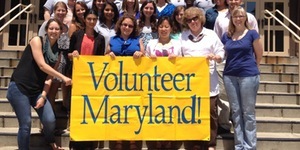 Register for this event on Volunteer Maryland’s website here.